General Description: Poison hemlock is a very tall biennial plant that can grow up to 12 feet in height. It grows into a rosette the first year--a cluster of leaves growing on the ground and then flowering stems the next year. Flower Description: Flower are small and white and occur in 4 to 8 inch umbrella shaped clusters. Leaf Description: Leaves are fern-like, toothed, finely divided and have a strong odor when crushed. Stem Description: Stems are hollow, hairless and have noticeable purple blotches. Fruit/Seed Description: Seed hairless, egg-shaped and about 0.09 inches (2 mm) long with prominent ridges. The entire plant is toxic to animals and humans, containing the poisonous alkaloid coniine and other alkaloids. 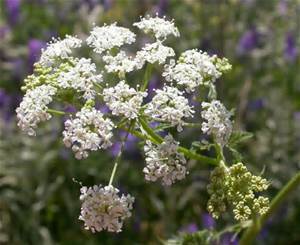 Poison hemlock can quickly infest large areas of pasture as well as open waste places.